Amy is the mother of Steven, a heroin addict who recently almost died from an overdose. Steven is now living in a sober house after completing an inpatient treatment program. Amy is hopeful for her recently-turned-18 son. She is committed to his recovery no matter how he chooses to go about it. Amy also struggles with the delicate balance of helping her son and taking care of her other children. She believes in talking about addiction and spreading the word about the current opioid epidemic. Amy wants no more shame attached to the disease of addiction. Here are excerpts from her story. The names have been changed for privacy reasons. I almost lost my son to a heroin overdose last night. By the grace of God, the weather which coagulated the drug and limited the amount he could use, and the citizen who didn’t walk by but called 911, instead of planning his funeral I was blessed by staying at the hospital all night, sobbing, trying to sleep in a chair, reminding him to breathe every time the oxygen monitor went off, and trying to figure out where to go from here. Why do I post this? For one, to somehow thank that person who called 911, and to remind anyone who feels removed from this epidemic that these people are other people’s kids. If you see something, do something. This is my child, the kid I love more than my own life, who I would die for this minute if he would just live. I also post this because I want people to see: this is what heroin looks like. It is a sad, desperate epidemic. I also post it because some people feel ashamed when their kid is an addict and they try to appear like everything is normal to the rest of the world. They are afraid their friends will judge them. If we all do that and hide behind the pretense of perfection, more kids die. And the cycle continues. When you find out your kid is an addict, you start to question everything you have ever done since the moment they were born. You want to find someone or something to blame. My son’s dad and I are divorced now. We loved each other and the kids so very much, but in the end the cracks were too deep. We did the best we could at the time, but I know looking back we would both change many things. But what parent wouldn’t? We all have regrets. We all have ways we think we could have done better and moments of immaturity. It’s just that usually we aren’t looking back under such dire consequences. Usually we just have to wonder why our kid is such a brat that day or why they can’t save money or keep their room clean. None of those things matter to me anymore. They haven’t for 2 1/2 years. Nor does the fact that my son is 18 in May and hasn’t been in school for two years. It doesn’t matter to me that he will never attend a school dance, that he will never go to prom, that he may not go to college. Nope, I just want him to live and to be sober. When Steven is sober, he is amazing. He is funny, kind, helpful and extremely witty. He is also fearless in many ways. This is great because I have seen him scale up a rock wall without even flinching and run into the middle of open range to try for our team’s target flag when we played paintball together. This is terrible because he gets into stranger’s cars and sticks needles in his arms. Steven is not completely fearless though. He lives in constant fear that he is not good enough, that he doesn’t fit in, that he will never be able to stay sober. He lives in shame, guilt, despair, and blinding cravings. Steven also has continuous glimmers of hope as he sees his sober friends flourish as they grow in their sobriety. I hope he will find his fearlessness in real life. If he is sober, he will do great things. If he is not, he will die. There is no middle game with him. He is playing Russian roulette. And he is playing the game all by himself. As I write this, he is in a facility about 40 minutes from us. There are many facilities closer but most don’t take kids under 18 and they have designated male/female beds. It is also much harder to find treatment facilities for a kid. Most are for 18 and over. We have been to two amazing ones. You never judge a faculty by your kid’s sobriety (unless it is easy for their friends to slip drugs to them). Ultimately, the facility’s job is to provide tools. They all do that, and not all may be a good fit for each person. But they all have something to offer, that is for sure. It is nice if you can afford several to make sure you are getting it from several different angles but after that, they have been exposed to much help. The two we have been to were very different, but a lot of the lessons were the same. It is up to the addict to want to change and to be willing to do whatever it takes. Still, if we were rich, we would continue to try rehab after rehab because after all, when they are in rehab, you know that at least they are safe. The very best sleep I have had in the last 2 1/2 years was during my son’s two inpatient stints in rehab. It seemed like time stood still. I could laugh and relax and sleep and pay more attention to my other kids. It was wonderful. I had so much hope. When inpatient treatment is over and your kid returns, you notice that the demons have returned also: Fear, worry, expectations. over controlling, trying too hard, saying too much, impatience, prodding. Gradually, through the support of other parents who have been there, you learn that it all takes time. So you learn to grow patient. You learn to let go a little, you learn to relax. And you think you see progress, you start to find hope. You start to believe: Life is good. He’s got this. Then, one day, you notice something seems off. It doesn’t feel right or sit well, but when your addict has worked so hard and is trying so hard it seems wrong to question. You realize it is just you. Inside, you know you are likely right but you want so badly to be wrong. 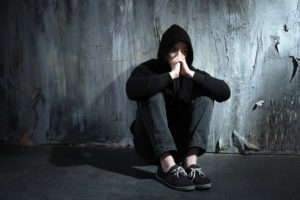 Then you get the call, they tell you he is gone, or he is in the hospital, or they ask if you know where he is and your heart sinks back into despair as you realize you are once again back into the dark world of loving an active addict. You are terrified beyond words because you know that he may not get this in time. You don’t want to believe it but you have been here too long, researched too much, heard too much. Then you realize that you sound like you have given up, especially to someone who hasn’t attended this rodeo. But you know that you will never ever give up, you just know too much to be naive about how bad this really is. Thank you for reading my post. Writing these last three days has been more cathartic than I would have imagined. It helps me reflect and feel and cry. I need that, it’s easy to shut down. Thank you so much for sharing this .. im a single moher of 5 children and am currently going through this battle with my 22 year old and have been since he was 17 alone no support from any one i have sat in icu for 5 days when he almost over dosed have sectioned him. I have put him into day programs even gone to meeting for my self with other parents who are going through the same thing… I love my son more than life but feel so helpless .at this point thatc theres no light at the end of tunnel for either of us . i cry everynight thinking the worst .. reading what your going through makes me think and hope that there is a light at the end of this dark tunnel.